Visiting a winery or vineyard and tasting wines from across the globe are ways to expand your palate with your love of vino. LoveToKnow Wineries Around the World can help you find the right place to visit and wine to taste test. Penfolds Grange is a world-famous luxury wine made in Australia. Clarendon Hills is another excellent option with special Syrah wines reminiscent of Shiraz. Although Canada may not be as well-known for exporting wines, they still bring several famous brands to the table. For example, Erie Shore Winery and Burrowing Owl Estate Winery are two that may not have been on your radar. France has plenty of famous wineries and vineyards like the Chateau Lafite Rothschild. Champagnes from France are also notably famous, like Dom Perignon, which adds to France's wine-making allure. Santa Margherita in Italy is not only a picturesque vineyard, it also has a wide variety of white, red, and sparkling wines that are imported to the U.S. They are especially well-known for their Pinot Grigio. Explore wineries in the Cappadocia region of Turkey that you've never heard of before. One might just be your new favorite. Arkansas - Chateau aux Arc in Altus, Arkansas, offers a variety of award-winning Chardonnays for southern wine lovers. Missouri - Learn about 17 Missouri wineries and vineyards in each of the seven regions that produce wines. New Jersey - Visit Renault Winery in Eagle Harbor City and see how it's transformed over the years. Oregon - You'll find over 40 Oregon wineries in California's northern neighbor. Virginia - People say "Virginia is for lovers" but it's possible they meant lovers of wine, because Virgina wineries number nearly 100. 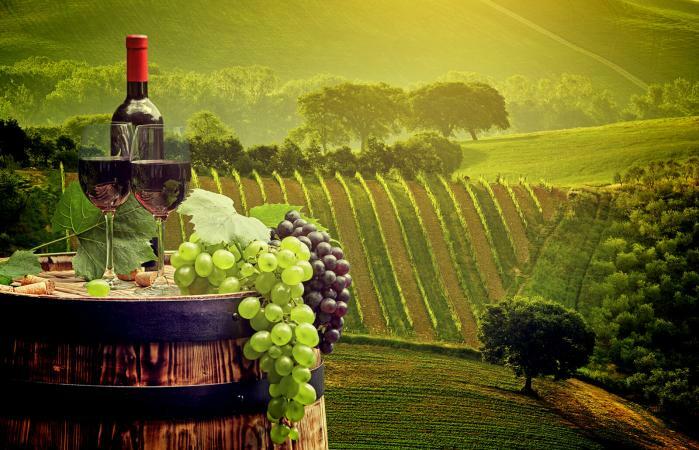 Whether you're looking for tasting reviews, a place to taste wine and view art together, or want find out the storied history of a particular winery, LoveToKnow Wineries Around the World has the information you seek. There is plenty to learn about the wineries and vineyards behind the drink you love.